The Lesser Antilles island of Martinique, officially a region of France, is a popular tourism destination. 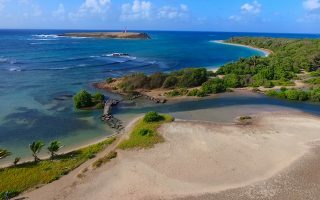 Martinique is known for its hybrid cuisines, zouk music, and beautiful scenery where secluded beaches meet lush volcanic slopes. The terrain is more rugged than many other Caribbean islands. While roads are narrow and do not often include sidewalks, there is some excellent and varied running in Martinique. Martinique’s largest town and capital of Fort de France is one of the most popular visitor areas, offering great places to run in its parks, along the waterfront, and the canal. 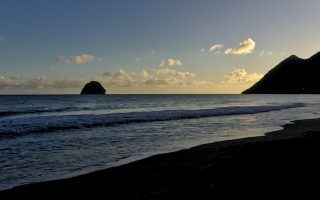 The best beach run in Martinique is the 3.5 km Diamant Beach. For some trail running, we love the gentle waterfront routes along the South Coast in Saint-Anne and near Saint Luce. For some spectacular running on quiet dirt roads and through a nature reserve with great ocean views, head to La Caravelle peninsula. A car is considered the best way to get around Martinique. “Taxi Collectifs,” a type of mini-bus, run between popular tourist areas, but fares and routes are somewhat unreliable. 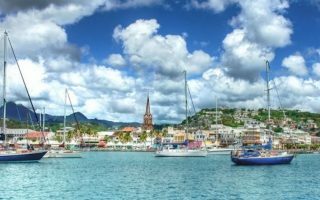 The best runs in the capital of Fort de France include the airport area, Parcours Sante du Morne Cabri, the waterfront, and Canal Levassor. 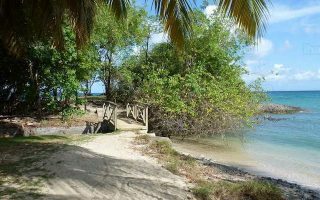 This 6 km (one way) network of paved and dirt paths is a gorgeous coastal adventure along the south coast of Sainte Anne. This popular tourist area includes a nice run on the flat expanse of Diamant Beach, following the bay (Grande Anse du Diamant). Good, firm sand, especially at low tide. Up to 7 km out and back. The colorful seaside village of Saint Luce is a great spot for a coastal run, provided you can find your way along the paved and sandy paths dotting the shoreline here. La Caravelle Peninsula is considered one most beautiful areas of Martinique. There is great running along the D2 where it turns to dirt, or an 8 km trail run through the Caravelle Nature Reserve. Martinique has typical Caribbean weather. Warm and humid, year-round. Temperatures are fairly uniform, averaging 28-31C (84-88F) during the day, and 24-26C (74-80F) at night. It never really cools off. It can rain at any time of year, though the wetter season of July-November features 2-3x the monthly rainfall as the dry season. Runners should also bear in mind heat, humidity, strong sun, and winds! 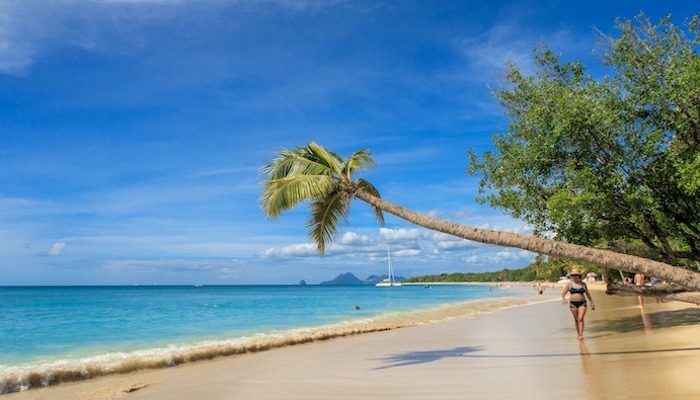 Most tourists stay somewhere near Martinique’s capital of Fort de France. For more ideas, visit martinique.org. There are no independent running stores in Martinique, but it’s possible to buy gear at the Intersport and Sport 2000 stores in Fort-de-France, and the Intersport store in Le Lamentin. 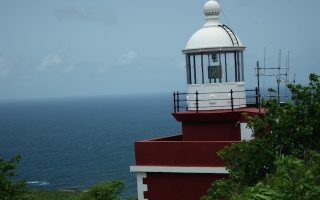 See Ahotu’s list of races in Martinique.